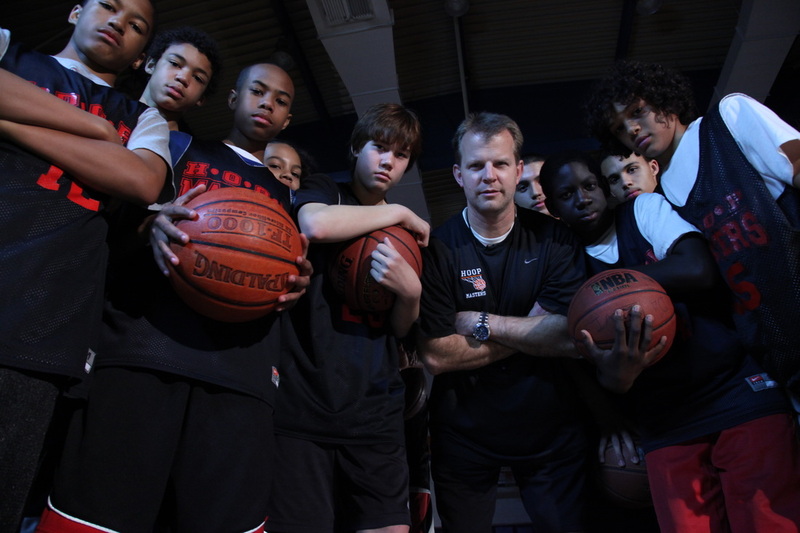 "At All Costs" is a documentary set in the world of AAU basketball that explores how the AAU system has professionalized youth “grassroots” basketball in America. We follow highly recruited ‘blue chip’ prospects, their families and their teams as they navigate the shaky terrain of the AAU circuit in pursuit of their dreams. Parker Jackson-Cartwright is a five-star point guard from Los Angeles, California. He burst onto the national scene in 2010 when UCLA offered him a full scholarship at just 14 years old. ‘At All Costs’ follows Parker and his father, Ramon, as they navigate the various stages of his recruitment – following them as they travel the country playing at the marquee AAU events. Etop Udo-Ema is the Founder/CEO of the Compton Magic - one of the nation’s premier AAU programs. Etop has built the Magic into a perennial powerhouse, regularly placing several Compton Magic players in the NBA draft and dozens more in Division-1 programs around the country. One of the most powerful men on the AAU scene, the film profiles the inner-workings of the Compton Magic empire. "At All Costs" examines the shifting nature of ‘amateurism’ in modern-day American sports, specifically exploring the cross-pollination between the NBA and AAU culture. From the genesis of ‘super teams’ to the question of ‘what makes a pro’ (increasingly relevant in discussing the NCAA’s legitimacy), this film examines where professional basketball truly begins in America.